For years, Grace has watched the wolves in the woods behind her house. One yellow-eyed wolf - her wolf - is a chilling presence she can't seem to live without. Meanwhile, Sam has lived two lives : In winter, the frozen woods, the protection of the pack, and the silent company of a fearless girl. In summer, a few precious months of being human... until the cold makes him shift back again. Now, Grace meets a yellow-eyed boy whose familiarity takes her breath away. It's her wolf. It has to be. But as winter nears, Sam must fight to stay human-or risk losing himself, and Grace, forever. Total Running Time: 10 hours, 45 Minutes. 9 CDs. 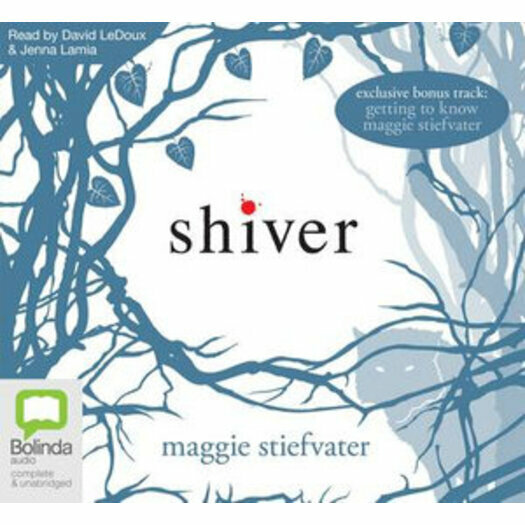 Maggie Stiefvater is a bestselling American author of young-adult/urban fantasy novels. She currently lives in Virginia. She attended Mary Washington College, graduating with a B.A. in history. After graduating, she worked as a portrait artist, specialising in equestrian art. ; her art was collected internationally. She is married with two children.